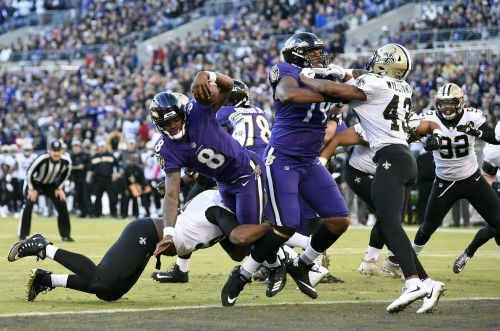 After forfeiting a 17-7 lead heading into the fourth quarter, the Ravens allowed two fourth-quarter touchdowns and a field goal en route to losing 24-23 to the New Orleans Saints. In a game where the offense flashed moments of brilliance, but also stretches of ineptitude, Baltimore had every opportunity to win. The Baltimore Ravens faced the New Orleans Saints in a Week 7 NFL matchup. Check out the box score. Ravens rookie quarterback Lamar Jackson scored his first career touchdown against the Saints on Sunday.